Orlando and Disney have become, in the American imagination, essentially synonymous. The House of Mouse has put a massive stamp on the Central Florida city, and Universal Studios has capably jumped in on the action with its ever-expanding Sunshine State theme park. With the peninsula’s booming medical-marijuana market and MedMen’s arrival this year in multiple Florida cities, we’re celebrating the underrated allure of a couple of the state’s standout destinations. Sure, Orlando is a prime pick for spending some quality time with Mickey, Minnie, and all the rest, but enticing tourist traps aside, there’s actually quite a lot to experience once you peel back the theme park layers. Here’s where you should stay, eat, and drink in order to soak up Orlando’s bright rays. The hotels at Disney World Resort are full of perks and fun amenities, particularly for families planning to trample through the theme park, but if you’re craving something slightly more adult, check out the Hard Rock Hotel’s Orlando offshoot that’s connected to the Universal Studios Orlando Resort. It’s still family-friendly, in case you have Harry Potter-obsessed little ones in tow, but in classic Hard Rock style, the sleek atmosphere is also indebted to rock gods and goddesses. 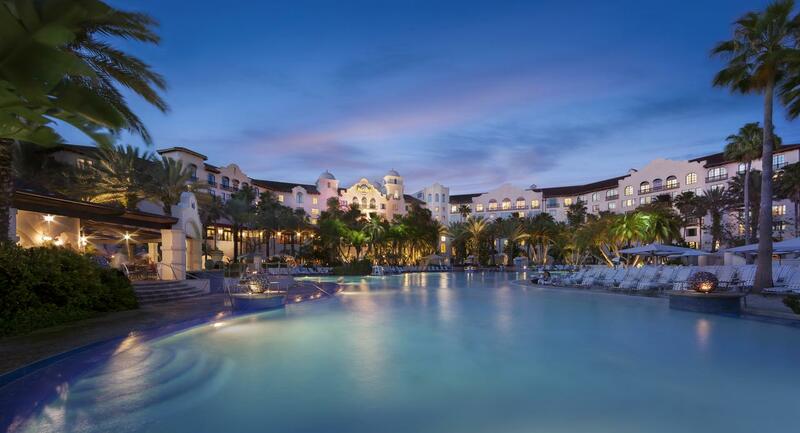 The hotel, which runs at about $474 per night, delivers on the price tag, as it’s inundated with premium dining and show options for when you get tired of the rollercoasters. Let’s say you’re not in Orlando for the theme parks or immersive movie tie-ins; you're there to enjoy everything the city has to offer. Don’t fear: There’s plenty here to take in. And it’s hard to beat the sensible value of the Hyatt Regency in town. While not much the look at, the Central Florida outpost has exceedingly comfortable accommodations in a convenient location with most of what one could need. The rooms, which go for around $219, offer sweeping views of Orlando, and the pool, fitness center, and spa are nice bonuses. 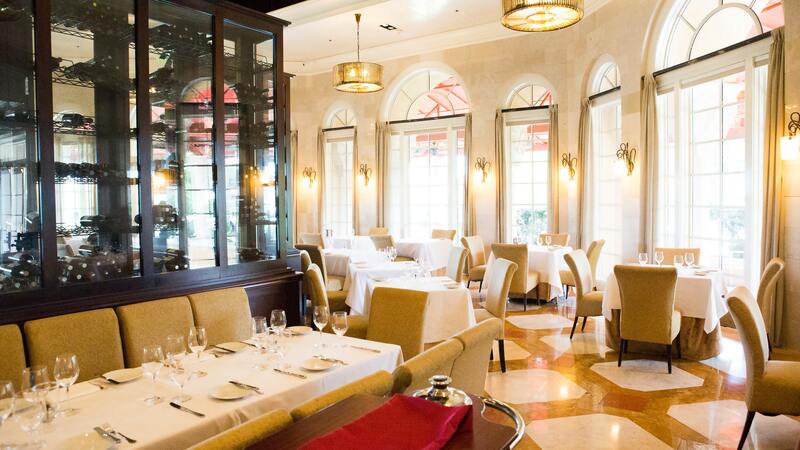 Culinary connoisseurs in Florida have long been familiar with the name Norman Van Aken. The chef and restaurateur was a founding father of so-called New World Cuisine, drawing on Latin and local influences and popping with flavor, which dominated Miami and surrounding areas in the ‘90s. While his eponymous restaurant downstate has since closed, he recently took full reins of the Central Florida establishment bearing his name within the Orlando Ritz-Carlton. Befitting the luxury hotel, the spot is decked out with marble floors and muted yet refined decor. Flavors, meanwhile, are bold and brash, yet always approachable. Try the “Down Island” French toast with Curaçao-marinated foie gras, any of the ceviche selections on offer, and whatever else happens to involve local seafood. 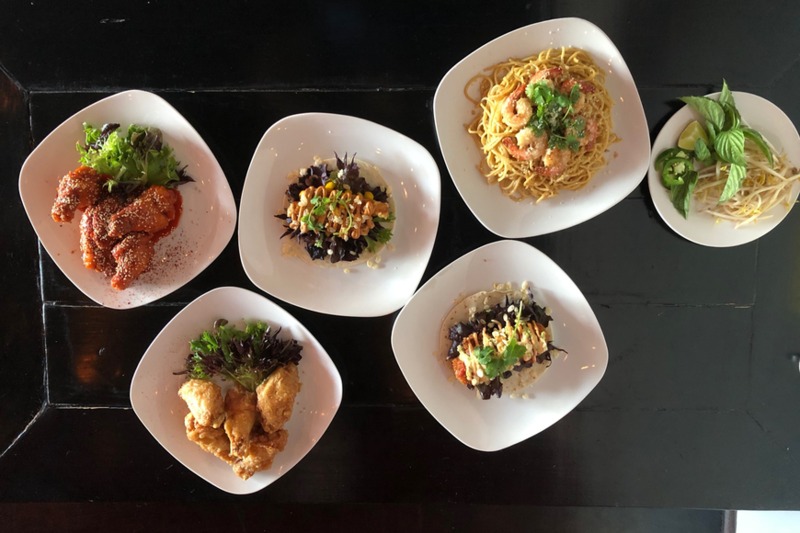 While the glitter of Magic Kingdom tends to steal all the attention, Asian food aficionados should take note: The city is home to a low-key but exceptional pan-Asian restaurant scene. A jewel in the crown is Kai Asian Street Fare, which elevates bone-sticking street eats without getting too fussy. The Winter Park joint is known for its ultra-crispy Korean-style chicken wings, along with fries drenched in kimchi and bulgogi. Tacos incorporate Asian-tinged fillings like chicken satay. There’s no shortage of dive bars and pubs to repair yourself with a stiff drink in Orlando (in lieu of any cannabis, of course). But the recently-opened Robinson Cocktail Room, living up to its stately name, delivers an unexpected bit of refined cocktail culture with a throwback aura. The dimly lit space is adorned with clever decorative touches like mannequin legs on the walls, and the cozy table and seating is inspired by Art Deco design. Meanwhile, both house and classic cocktails—as well as some creative punches—are expertly thrown together by the knowledgeable bar staff.